MIAMI, February 23, 2018	(Newswire.com) - The Original Grilled Cheese Truck, owned by Big Cheese Inc., a gourmet chef-driven food truck and restaurant brand being rolled out as a national franchise, announced that it has achieved a major milestone with today’s opening of the company’s first brick-and-mortar restaurant since deploying its mobile trucks across Los Angeles, where it helped launch the national food-truck scene in 2009. The Original Grilled Cheese Truck’s first quick-service restaurant has been unveiled in the picturesque and populous beach town of Isla Vista, California, immediately adjacent to the University of California, Santa Barbara, with doors opening today. The new restaurant is located in the center of Isla Vista at 956 Embarcadero Del Norte, adjacent to the Isla Vista Theater and the UC Santa Barbara campus, which is home to a combined 24,000 undergraduate and graduate students. 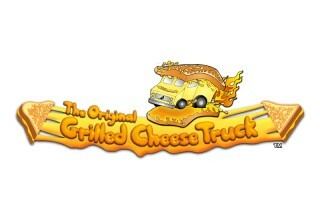 The new location is operating under the company’s “Original Grilled Cheese Truck Stop” branding, which is being rolled out for the company’s kiosk, pop-up kitchen, brick-and-mortar and other stationary concepts, which is a play on words compared to the company’s mobile “Original Grilled Cheese Truck” branding for its trucks, carts and other mobile-food options since launching the concept in 2009. Customers will be able to choose from The Original Grilled Cheese Truck’s award-winning gourmet grilled cheese melts, tater tots, tot boats, tomato soups, sides and more. Crowd favorites such as the Cheesy Mac & Rib, Brie Melt and Plain ‘N’ Simple will be back in action, plus the new location will also showcase new specialty crusts in addition to the standard white and wheat options for bread, such as parmesan, jalapeño and bacon-cheddar. Lastly, “tot boats” will be featured, which are tater tots loaded with your favorite gourmet cheeses, meats and other mouth-watering toppings. This first brick-and-mortar restaurant comes on the heels of the announcement of the company’s first signed Area Development Agreement as part of its national franchise program. The Original Grilled Cheese Truck is offering franchise opportunities for gourmet food trucks, micro-retail, pop-ups, kiosks, food carts and brick-and-mortar restaurants. The Original Grilled Cheese Truck’s gourmet creations have resulted in significant press and awards over the years, including the 2017 "Best Melt" Award by Time Out LA Magazine. A key component of the company’s franchise growth strategy is the offering of discounted franchise opportunities to U.S. military veterans. For local promotions and news on the Isla Vista location, fans can follow the restaurant's local Facebook page. 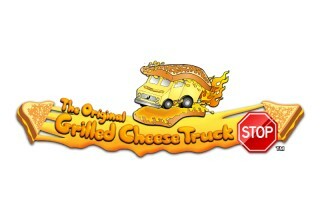 To learn more about The Original Grilled Cheese Truck, please visit www.thegrilledcheesetruck.com or visit us on Facebook, Twitter and Instagram. The Original Grilled Cheese Truck is a nationally recognized American food brand and an entrepreneurial "emerging growth" company with a business strategy that includes The Original Grilled Cheese Truck offerings in gourmet food trucks, small-footprint retail, kiosks, food carts, stadiums, military bases, universities, casinos and related venues, festivals, motorsports, action sports, team sports, large outdoor events/concerts, large churches and schools. The company also seeks to operate both company-owned and franchised Original Grilled Cheese Truck operations with an emphasis on franchised opportunities to veterans as part of its growth strategy. The Original Grilled Cheese Truck has been widely covered throughout the nation including features on the Rachel Ray Show, The Price is Right, ABC Channel 7 (Top Food Truck in Los Angeles), NBC News, Fox News.com, USA Today, Los Angeles Times (Best Food Truck in LA and Southern California), The Cooking Channel, Food & Wine (Best grilled cheese in the U.S.), The Travel Channel, Klout.com (Top 10 Most Influential Food Trucks – 2011), BBC Travel, MSN.com (The Best Food On Wheels) and Zagat Guide. Statements in this press release and of the management or representatives of Big Cheese Inc., in connection therewith that relate to beliefs, plans, objectives, goals, expectations, anticipations, intentions and future financial condition, results of operations or business performance, constitute "forward-looking statements" within the meaning of Section 27A of the Securities Act of 1933 and Section 21E of the Securities Exchange Act of 1934. These forward-looking statements are based on management's current expectations about future events. These statements can be identified by the fact that they do not relate strictly to historical or current facts, and by words such as "may," "could," "should," "would," "believe," "expect," "project," "anticipate," "estimate," "intend," "plan" or other similar words or expressions, and include statements regarding our ability to commence a significant level of operations and develop The Original Grilled Cheese Truck brand into a nationally recognized brand, our ability to develop a successful and profitable business model that includes both company-owned and franchise grilled cheese truck operations, our ability to raise additional capital in other securities offerings, our ability to execute our proposed national rollout through multiple sales channels, our ability to roll out gourmet food trucks, small-footprint retail, pop-ups, kiosks and food carts. Any or all of the forward-looking statements in this press release may turn out to be inaccurate or wrong. Because of these risks and uncertainties, the Company's actual results may differ materially from those that might be anticipated from its forward-looking statements. Therefore, you are cautioned not to place undue reliance on such forward-looking statements. The Company undertakes no obligation to publicly update any forward-looking statements, whether as a result of new information, future events or otherwise, except as required by applicable law. All trademarks and logos referenced herein belong to their respective companies. With our success melting the hearts of Californians and amassing over 100,000 followers for our brand in the competitive Los Angeles food-truck scene, along with recent progress with our franchise initiatives, the timing couldn't be better to unveil our first brick-and-mortar. The Original Grilled Cheese Truck is a nationally recognized American food brand and an entrepreneurial "emerging growth" company with a business strategy that includes gourmet food trucks, small footprint retail, microstores, kiosks, and food carts.